In a recent article at All Things D, its noted that Disney is rolling out a new item called MagicBands, that serve as replacements for park tickets (including FastPass), even room keys. They work wirelessly, so are similar to various RF access cards. 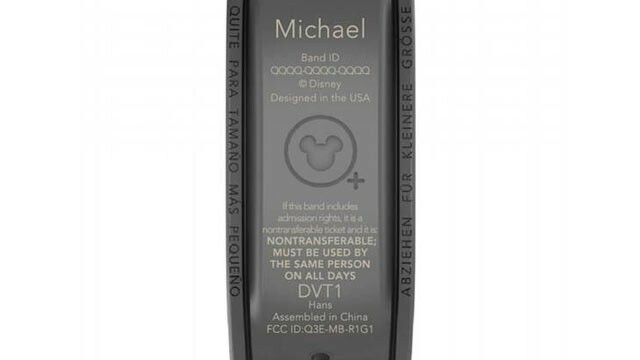 They can also be tied to credit cards, so guests can use their MagicBands to pay for stuff. It's good that the article did bring up potential security risks, especially with the credit cards. Ok, the bands don't have the credit card info on them, and the guest must use a PIN code to fully utilize that, so you do have 2-factor authentication for that part. But you do have to wonder if the bands can be cloned. This would allow someone to get into hotel rooms or use them to get into the parks, etc. Here is a Disney Blog posting on it. 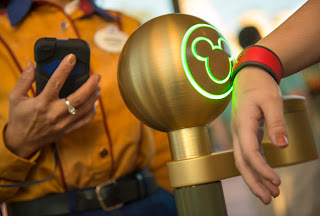 Payment stations that use the MagicBand and enter PIN.